Walking in Stilettos on Cobblestone Streets: Saw my 1st snow of the season in Romania! 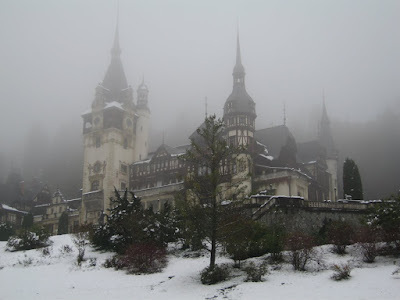 Pic = Castle Peles (King's summer home) in Transylvania, Romania. Temp = 1 degree Celsius.